What are the dates for 2019? The Fayez Sarofim & Co. U.S. Men’s Clay Court Championship will be held April 6-14, 2019. Qualifying will kick off the tournament April 6-7, 2019. Check out the full 2019 tournament schedule HERE. Where do I park? What's the cost? To facilitate access to the tournament, an expanded shuttle service will be in operation throughout the tournament week from Noon until the conclusion of the matches. The shuttle accommodation will provide guests who park outside the grounds a convenient option to arrive to the grounds quickly. Complimentary bike cabs will again be provided for our guests. Parking is available on the side streets off of River Oaks Boulevard; please pay particular attention to and comply with the No Parking signs as posted. The shuttle vans and bike-cabs will be circulating throughout the area to bring you and guests to the front gate. Where is River Oaks Country Club located? When's the best day or session to attend? Every fan finds a different day to his or her liking. There are more matches earlier in the week, but as the week progresses, the excitement builds as the field narrows. The opening day of main draw play, Monday, April 8, will feature one session beginning at 3p.m. 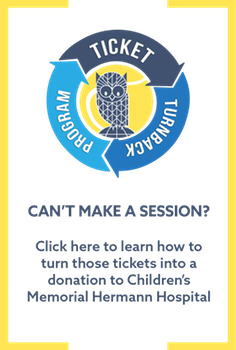 There are two sessions each day, Tuesday through Friday. The day session begins at 12 noon, while the evening sessions will start at 6 p.m. Saturday play will begin at 1 p.m. and the Sunday Final will start at 2 p.m. Day session tickets can access stadium court until the end of last scheduled day session match, but are also good for all matches on outside courts until they conclude. The night session ends at the conclusion of the last match of the day, regardless of the location. Gates will open one hour before the start of matches each day. Children 3 years of age and younger do not require a ticket. What items (including food or beverages) are permitted to be brought onto the grounds of the River Oaks Country Club? Outside food and beverage are not permitted on tournament grounds. There is not an ATM located on tournament grounds. Check out our 'Know Before You Go' section for a full list of prohibited items. Play can continue in a very light rain. At the discretion of the umpire and tour supervisor, play can be suspended if the conditions are unsafe. In that instance, play will resume when possible after the weather clears and the court is prepared once again for play. The best way to stay current with any delays is by following the tournament’s Twitter feed. USTA members are eligible for a discount on both season and daily tickets; please call the box office for more information. How is the draw made? The draw is made in accordance with the ATP World Tour rules. First, the seeds (the highest-ranked players in the draw) are placed in the draw (No. 1 on the first line, No. 2 on the last line and then the others in alternating order on pre-determined lines). Once the seeds are in place, the other players are drawn at random and placed on the empty lines -- starting at the top and going down the draw until it is filled. When is the schedule made? During the tournament, the schedule is made daily and usually is available around 6 p.m. It is then posted on the Schedules page. Can you tell me now when a particular player will play? No. In a single elimination tournament, only one player advances and since no one knows who will win or lose, no one knows who will play when. When is the first round played? When's the second round played? Typically the first round matches are played over Monday and Tuesday, and the second round over Wednesday and Thursday. There are exceptions to this, so it is recommended to check the daily schedule to see when each match will be held. Can I watch matches on other courts? Yes. Matches will be played on as many as two outer courts that all fans with tickets have access to. Can I watch players practice? How do I know who's practicing when and where? Yes. Any fan with a ticket can watch players practice on the outer courts. The daily practice schedule will be updated every morning so that fans can know when and where their favorite players will be hitting. We would love to have you join our volunteer squad! Please click HERE to learn more about how to become a volunteer for the 2019 tournament. How does my child become a ball kid? To learn more about the process of becoming a ball kid for the 2019 U.S. Men’s Clay Court Championship, please click HERE. How do I get a media credential? If you are interested in getting a media credential, please fill out the ‘Credential Application’ form located at MEDIA INFO and click submit to have your form sent to tournament staff. Approved or denied credential applications will be notified in writing. Yes. Broadcast schedule will be released closer to the tournament. In 2018, the tournament was broadcast on Tennis Channel in the United States. Check out the full broadcast schedule HERE. How does my child participate in Kids Day? H-E-B Kids Day Powered by Net Generation will feature an interactive tennis experience for beginners, as well as appearances by stars of the ATP World Tour, on qualifying Saturday and Sunday. Registration for Kids Day is open now. How do I participate in Ladies Day? Ladies Day is an annual event, hosted each Tuesday during the tournament. No pre-registration is required, the purchase of a day session ticket gives each lady access to a clinic designed for doubles play with Coach Wayne Bryan, as well as some of tournament doubles players. Is there WiFi available on site? We’re proud to offer WiFi powered by Spark Energy during the tournament. All you have to do is look for the network ‘USCLAYGUEST’ while on the tournament grounds, and you’re good to go. Note, laptop computers usage is prohibited on tournament grounds according to ATP World Tour regulations, so use of the WiFi is limited to your smart phones. Can I get a rideshare to drop me off/pick me up from ROCC? 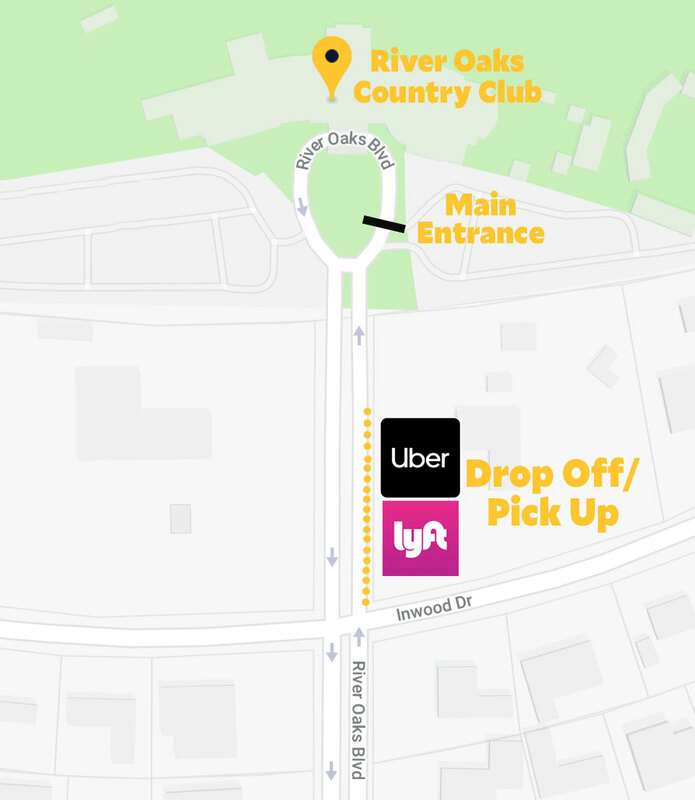 This year, the USMCCC has designated an Uber drop & pickup location right outside of the ROCC gates. Your driver can drop you off & pick you up here. There will be heavy traffic in the area surrounding the Club, so please follow all signs and directions from traffic officials as you head to the drop off/pickup area.